Tiny Acts Topple Empires, curated by Heather Darcy Bhandari, is on view at the Woskob Family Gallery at Penn State Univeristy through June 2, 2018. 36 Orchard Hill Drive will be part of this exhibition, which "takes its title from a quote in a 2004 essay by Danusha Goska, in which she writes, 'when we study the biographies of our heroes, we learn that they spent years in preparation, doing tiny, decent things before one historical moment propelled them to center stage and used them to tilt empires.'" This new work from the Inheritance series will be on view at the RISD Faculty Exhibition & Forum at the RISD Museum from February 23 - March 25. I just enjoyed a productive residency at Vermont Studio Center, where I was fortunate to share time with some brilliant writers and artists. Coming home with new ideas, new books, and new friends. Sign up for Casting + Carving, a wax working and lost wax casting workshop at Peters Valley School of Craft in Layton, NJ, July 27-31, 2018. Sieraden: The Best Young International Jewelry Designers Selected by Marzee is at Museum Het Valkhof in Nijmegen, Netherlands through January 7, 2018. 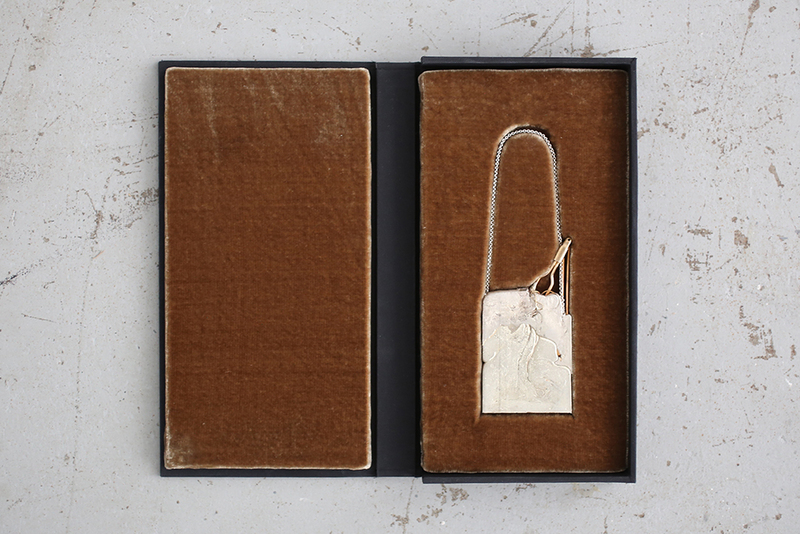 Inheritance will be on view alongside the work of many other jewelers, listed here. These brooches are part of Union & Concurrence, the Beijing International Jewelry Art Exhibition taking place at the Beijing Institute of Fashion Technology, China, November 18-26, 2017. It's an honor to participate in the 2017 Marzee International Graduate Show alongside Rhode Island School of Design classmates Alanna Ho and Neta Ron. Inheritance will be on display at Galerie Marzee in Nijmegen, Netherlands, from August 20 - October 25, 2017. These Dust to Dust rings are part of Ethical Metalsmith's 2017 So Fresh + So Clean show. You can see the entire show at emstudents.org. For the past year I've worked alongside many wonderful people under the guidance of RISD Museum conservator Ingrid Neuman on the preparation of over 1000 pieces of Gorham silver for exhibition. 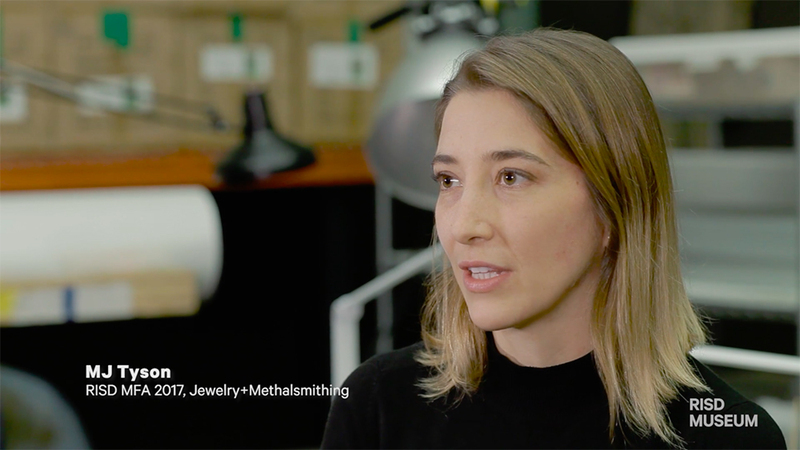 I was interviewed for a video that the RISD Museum made about this unique conservation effort, which you can watch here. Designing Innovation: The Gorham Manufacturing Company will open on May 2, 2019. 102 Garden Hills Drive pictured in "End Game for Grad Students" in RISD XYZ, Spring/Summer 2017.